Have you ever considered taking up beauty as a hobby? What does that even mean? Beauty covers all things beautiful on the outside and inside. Yes, beauty is in the eye of the beholder…BUT there is still a lot we can do to help it along. Let’s explore the area of beauty as a hobby. You could learn about fashion, how to do hair and makeup and if you only ever help your friends, family and yourself, you would add happiness and beauty to your world. If you have ever been obsessed with your appearance this just might be the hobby for you. OR if you have an interest in creating peace of mind, helping others or becoming the best person you can possibly be, these are also important aspects of beauty. Also included in this beautiful category are acupressure, aromatherapy, and massage. These three hobbies will work your mind and body. Learning about each could be the key to help your body find total relaxation. Meditation is a powerful tool to reduce stress, anxiety and transport you to a beautiful state of mind. There is also beauty in giving back to your community, the homeless, the helpless and those less fortunate. Make philanthropy your hobby. Help others or focus on yourself for your own personal growth. 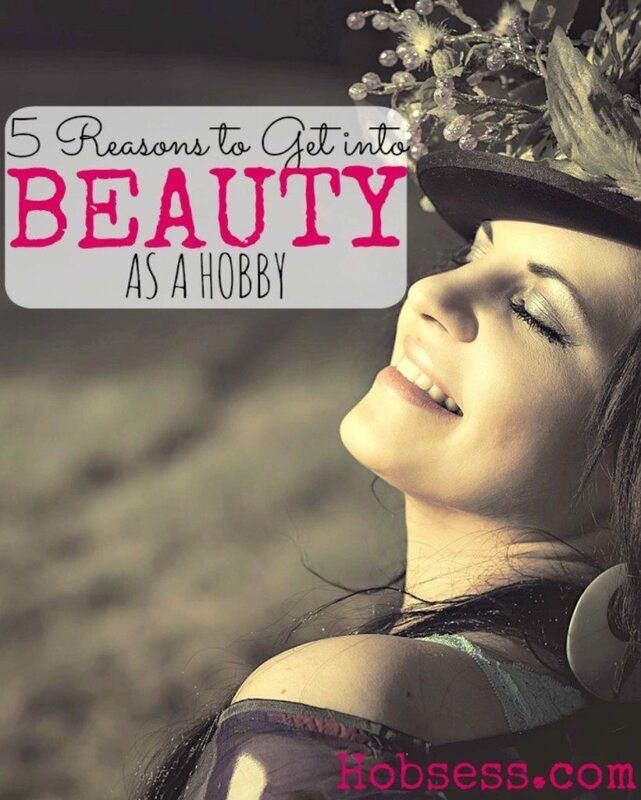 There are five very important reasons why you should explore Beauty. 1. Unleash Your Super Hero Super Powers! An important part of being beautiful is personal growth. Discover how you can become the best version of yourself. You have to start with you before you can be effective in the lives of others. Helping others through philanthropy, acupressure, massage or by being a docent can be a rewarding way to give back. You can provide a beautiful service to others while adding value to their life. You might be interested in starting a hobby where you can improve your own looks and/or the looks of others. There is a new found confidence that comes when you know you look good. You can start by learning to do hair, makeup, facials, nails or pedicures. Make yourself the model that you work on or enlist the help of others. Who wouldn’t want to support your beautiful new hobby? There are a couple of ways to save money when you have this type of hobby. You can definitely save money by giving your own manicures and pedicures and any other DIY beauty services you do. But some of the hobbies in the category of Beauty will allow you to save money by making a gift for someone special. You have the supplies already. You could give coupons for a facial, massage, manicure, pedicure or design, create and give a piece of your new fashion design label. Can’t you see how easy it would be to save money and time shopping by creating your own gifts from your hobby? If you decide you want to make a little cash on the side, you can always search for ways to make money from your passion. Some of the hobbies in this area require a certification before you start to profit from it. Make sure you check with your state and local government agencies first. You are limited only by your own creativity. It’s always good to have a backup plan and your new Beauty projects could get you there! Let me hear from you below, which “Beauty” hobby are you ready to try?